This is a dedicated page with regular updates on the progress of the roadworks which you may face from Worcester through to the town of Montagu. Progress reports are given in the form of "Bulletins" and are added as important information is released. Information that has become outdated or irrelevant has been moved to the Archives. Not yet registered for Community Updates as we receive them from the Construction Team? You can receive email updates as well as other important community notifications by completing the short subscription form at the foot of the homepage. Road R60 (TR31/2) between Robertson and Ashton is being resealed and there are currently two (2) STOP/GO controls of up to 4km on this road until Wednesday,17 April 2019. Road R317 (MR287) between Robertson and Bonnievale currently has one (1) STOP/GO in operation of 2.5 kilometer in length. The two sections of the R60 currently being repaired and resealed, start at km13.58 east of Worcester at the Nuy Intersection and ends at km15.68 at the entrance to Ashton. Most of the construction work is being done within 4 km half-width closures. Currently, texture slurry and patching work is being done on the R60 between Worcester and Robertson. One (1) Stop and Go, of a maximum 4km in length, will be in operation every day. The R60 between Robertson and Ashton is being resealed with two current closures of 4km in length. Both these closures should be reopened on Wednesday 17 April and reinstated after Easter weekend for the completion of the seal. The R317 is being resealed with one current closure of 4km in length. This section of the road should be completed by Wednesday 17 April and removed. No new half width closures will be introduced during the winter months as the sealing operation will only resume again during September 2019. The public is requested to be patient and exercise extreme caution when using the roads during the construction period. Most of the construction work is being done within 4 km half width closures. Currently, texture slurry and patching are being done on the R60 between Worcester and Robertson. A section of road is being resealed that should be completed by 3 April. The R60 between Robertson and Ashton is being resealed with one current closure of 4km length. From Monday 1 April two (2) closures will be employed to expedite the work. The R317 are being resealed with currently one closure of 4km length. A new closure will be employed from Tuesday 2 April. The resurfacing of the circle at Robertson is planned from Saturday 6th April for 4 days. Major delays will be experienced. The public is requested to be patient and exercise extreme caution when using the roads during construction. The WESTERN CAPE GOVERNMENT, Department of Transport and Public Works, Road Network Management Branch, are conducting a repair and reseal project on Trunk Road 31 Sections 1 & 2 (R60) and on MR287 (R317)) within the Langeberg Local Municipality and within the Cape Winelands District Municipality in the Western Cape Province. The two sections of TR31 identified for repair and reseal starts at km13.58 on the R60 just east of Worcester at the Nuy Valley Intersection and continues for 45.91km's in an easterly direction where it terminates at km15.68 of TR31/02 at the entrance to Ashton. The Contract value is R150 377 188.95 and the Contract period is 15 months. The Contract start date is 17 October 2018 and the end date is 16 January 2020. Construction work will be done within half width closures of 3 and 4 km lengths. • Construction of passing lanes on the R60 between Worcester and Robertson. From the 8th of February closures for up to 15 days are being implemented for specific areas to construct the new surfacing seal. These closures will not move and be applicable for 24 hours of a day. Construction of new passing lanes and upgrades to certain intersections are planned to start during April 2019. This construction activity will not require half width closures but the road width will be reduced along with the speed limit along these sections. Road users are requested to please be patient as the work undertaken is essential to ensure a well-maintained road network within the province. After Contract C818 with Basil Read was terminated in August 2018, Haw & Inglis stepped in to fulfil the role of interim managing contractor. During the interim period, Haw & Inglis ensured that critical subcontractors could continue work on Ashton Bridge. Other emergency work was also completed during the interim period, as well as the ongoing maintenance of the stop-go’s in Cogmanskloof. During the interim period, the Western Cape Government invited limited tenders for the completion of the project. Haw & Inglis offered the lowest tender and has been appointed by the WCG to complete the remainder of the project (now called Contract C818.01). Critical work on Ashton Bridge relating to the prestressing of the arch tie-beams and the new bridge deck has to be completed before Haw & Inglis can officially start as the new main contractor for the remainder of the project. After several technical difficulties were experienced with the prestressing of the bridge, the latest programme indicates that it will be completed early in April 2019. It was therefore decided that the new Contract C818.01 will commence on 1 April 2019. The estimated contract period for C818.01 is 22 months. The public can expect that Haw & Inglis will start to establish their site camp early in April. Since the Easter break, scheduled from 18 to 28 April 2019, is soon after the commencement date, the public can expect to see actual construction work picking up speed from 29 April 2019 onwards. The tendering for the new contract closed in December 2018 and the WCG should make an appointment soon. A. We specified in the documentation for the new contract that the completion of the work in Montagu must be a priority on the programme. The outstanding asphalt surfacing will therefore be done as soon as they can get going with the new contract. B. Final road-marking will only be done after completion of the asphalt. Traffic calming will not be done under this contract, and although it will be the responsibility of the Municipality, WCG will initially only allow the erection of speed cameras. C. "NO PARKING" and "NO STOPPING" areas will be painted as in B above, but no parking bays will be included. D. The paving of sidewalks and driveways are progressing slowly at present with only one sub-contractor employed, but should be finished quickly when the new contract starts. As previously reported, the Western Cape Government (WCG) Department of Transport and Public Works (DTPW) terminated the construction contract with Basil Read after they entered Business Rescue. The WCG DTPW appointed Haw & Inglis (H&I) as the interim managing contractor while the tender process to appoint a new contractor is underway. The tender closing date is early in December 2018, where after the tender evaluation and appointment processes will take place. It is expected that a new contractor will establish on site during the first quarter of 2019 to continue with the road construction project. During the interim period, the project team (AECOM as the WCG’s agent, and H&I as the interim contractor) has overseen a variety of essential activities. The stop-go closures on the R62 through Cogmanskloof are continuously maintained and operated, while countless potholes were repaired on the old main road through Ashton and Cogmanskloof. The two gravel bypasses in Cogmanskloof were surfaced with a temporary asphalt layer to reduce the maintenance costs and to shorten the stop-go waiting times in anticipation of the holiday season traffic. The final asphalt layer was constructed in several sections in Ashton. This will allow the traffic to use the new road surface and therefore reduce the traffic on the old uneven road. Essential work on the new Ashton Bridge, such as preparation for the pre-stressing of the tendons in the concrete deck, has been ongoing. More localised tasks were also undertaken, such as completing the service culvert in Ashton so that the deep excavation could be backfilled. The earth berm in the Kingna River, necessitated by the construction of the new Voortrekker Bridge at Montagu, was removed to allow the river flow to return to normal. Several fences that were partially removed due to the construction work over the last 3 years were also reinstated. A small team is continuing filling excavations and removing building rubble in order to clean up the construction site in preparation for the upcoming holiday period. As part of this work, some services in Montagu were tested and repaired, and the sidewalk construction in the central part of Long Street is continuing. The subcontractor undertaking the stone work in Cogmanskloof, such as the stone guardwalls, also continued with trimming and finishing work. 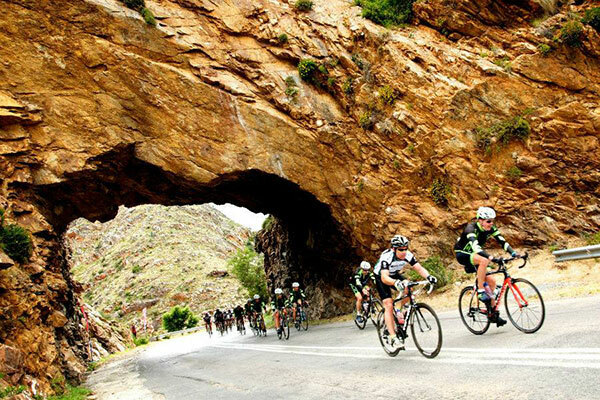 The two stop-go’s on the R62 through Cogmanskloof will continue to operate throughout the upcoming holiday period. Travellers can expect a total delay of up to 20 minutes. The construction team will have a small maintenance team on site to ensure that the road remains safe. To report any serious problems or concerns, please call 083-294-0548 or 084-252-0222. Problems can also be reported to ronel@montagu.org.za. Some good news just received is that Haw & Inglis was appointed yesterday as the temporary managing contractor. This means that some emergency work through sub-contractors may now be carried out under their management. Although H&I is not yet on site, arrangements have already been started with Mega Bouers to, for instance, remove the offending berm at Voortrekker Bridge that has caused some concern - especially among the farmers on the banks of the river, who expressed fears of possible flooding that could result if we experience some heavy bouts of rain. The sub-contractor is expected to start work on this early next week. A R650 million Department of Transport and Public Works (DTPW) roadworks project currently underway between Ashton and Montagu has been unavoidably delayed because Basil Read, the main contractor on the project, is in business rescue. An interim contractor will be appointed to manage the works until a project completion contractor can be appointed. The interim contractor will be appointed no later than the end of the first week of September 2018. The entire project is expected to be completed in July 2020. “While it may seem that work is at a standstill, certain critical bridge and other works are currently being carried out and will continue through the appointment of the interim contractor. The entire construction site will be safeguarded until then,” she added. Contract completion bidders will be required to have proven road and bridge construction experience. Financial due diligence assessments will be undertaken to minimise the risk of appointing a contractor who is unable to complete the project. To date, approximately R31 million has been spent on targeted enterprises and approximately 80 000 person-days of work have been created. DTPW regrets the extended and ongoing delays and disruption that the travelling public and residents along the route are experiencing. Every effort is being made to resume and complete the works as soon as possible. As previously reported, Basil Read, the contractor appointed on Project C818 (The rehabilitation of 13.4km of Trunk Road 31 from Ashton to Montagu through Cogmanskloof) has been in Business Rescue since 15 June 2018. As a result, the construction progress on this project has ceased. In view of this situation, the Western Cape Government (WCG) Department of Transport and Public Works, the main client for this project, has decided that it would be in the best interest of the project to terminate the contract with Basil Read. The WCG, with the assistance of AECOM (the consulting engineers appointed for this project) are in the process of appointing an interim managing contractor to ensure that the construction site remains safe. In the meantime, the documentation required to appoint a new main contractor to continue the construction of Project C818 is being compiled expeditiously. The process to appoint a new main contractor will take a few months. Until the new main contractor is appointed, systems are in place to continue the safe operation of the stop-go’s on the R62 through Cogmanskloof. Any urgent road maintenance will also be attended to, as well as other essential work. If any member of the public needs to report serious problems or concerns about the project, they can send an email to the Montagu Liaison Committee (ronel@montagu.org.za) who will, in turn, communicate with the project team. As the construction project advances, information is updated and replaced. CLICK HERE TO VIEW OUR ARCHIVE.